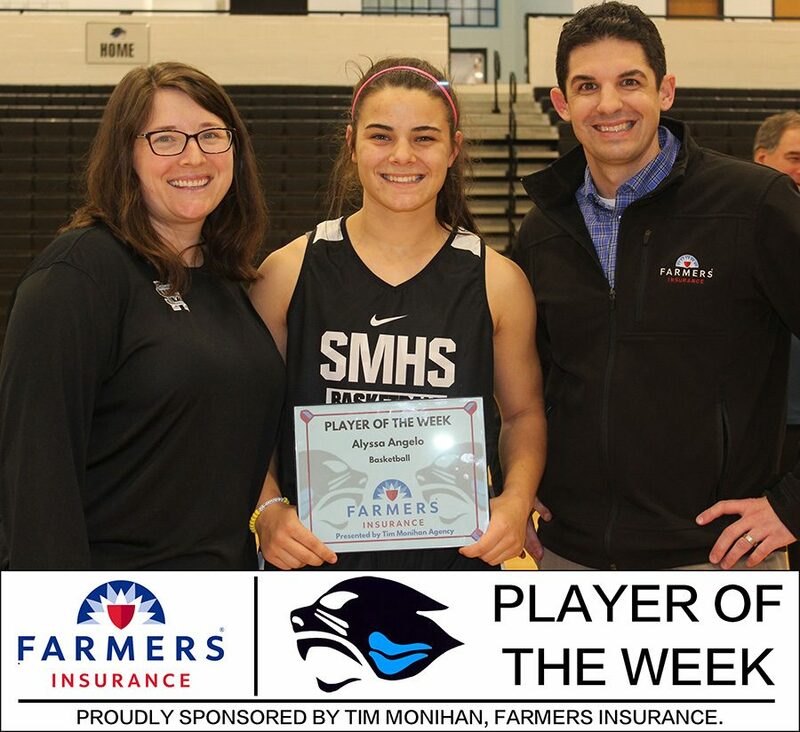 Farmers Insurance presented senior Alyssa Angelo from the girls’ varsity basketball team as the fifth Player of the Week for winter sports. Angelo, the 5’4” guard, averages one charge per game. Angelo and the Panthers have lost their last two games, including a loss at Griffin last weekend that dropped Starr’s Mill to second place in the region 5-AAAAA standings. The team looks to rebound as they head into two key region matchups. The girls play at McIntosh at 6 p.m. tonight. Next, the Mill plays Whitewater with home court advantage tomorrow at 4 p.m.